The RSVP period has ended. You may still attend, but be sure to leave your contact information at the sign-in sheet at door of the event. Charlotte SQL Server User Group Members who attended the 2016 PASS Summit include Ray Forbes, Anders Pedersen, and Sandra Peele. Jason Howell and Prabhaker Potharaju attended in working roles; they and other Microsoft team members staffed the SQL Clinic and it will be interesting to hear what kinds of questions attendees had for SQL Server experts. Other members or guests who attended the Summit may join the panel as well. Last month in Seattle, over 4000 database and business intelligence professionals from around the world gathered for a week of training and networking at the annual PASS Summit. A panel of CSSUG members who attended the event will share their experiences and insights. What were the most informative sessions? What did they learn that they didn’t know before? What are areas of concern for data professionals? What was the most valuable aspect of attending Summit? We’ll have plenty of discussion, and hopefully you'll be encouraged to make plans for the Summit next year (while Early Bird pricing is in effect). 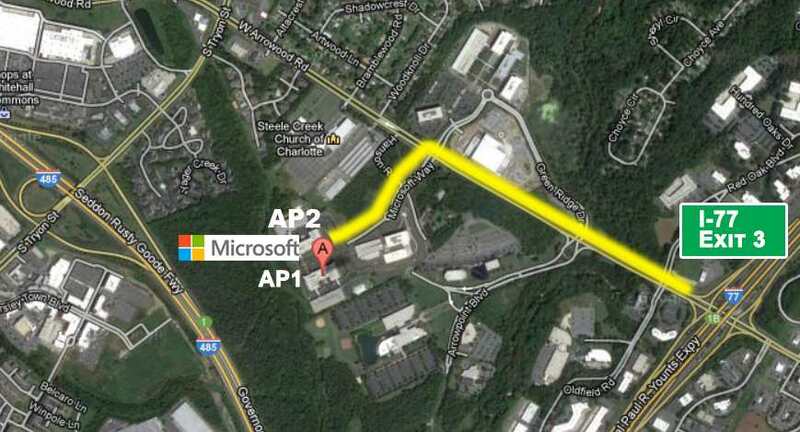 Directions: The SQL Server User Group meetings are held at the Microsoft Charlotte campus just off Arrowood Rd between I-77 and S Tryon St.
From I-77 take exit 3. Go west on Arrowood Rd until the traffic light at Microsoft Way. Turn left onto Microsoft Way and proceed straight around the two traffic circles. Park in the visitor parking between the two buildings. From visitor parking area, the AP1 / 8055 building is on the left side. Enter the far entrance with the overhang near the flag poles. The meeting room is MPR on the 1st floor adjacent to the entrance lobby to the right. The entrance door will be locked, and we will let you in. Knock on the glass if you are running late to get our attention so we may let you in. Copyright © 2016 Charlotte SQL Server User Group, All rights reserved.